Stay was good the food isn't really good in my opinion.. But the empolyee experience was excellent in particular VICTORIIA, i believe she is from Russia.. Very friendly, professional and made sure that my experience at pullman was great. As I Speak english and she does too, she said if i have any questions to ask her.. I did on food options as I'm Vegetarian..She was a great help!! Very good employee... Thanks BRAN R.
I only had one problem the security box in the room could not be reset just come up error. Everything else in the room was very good. Breakfast was better than Nanjing, bigger range perticularly for Western guy. Dinner was good as well, good choice al la carte. I had the suite 825 and the layout and space is nice. its a large suite where I can also work on my computer. Staff is nice and available. The cleaning service can improve. The room is not always perfectly clean. Friendly and touching as usual! Specially all staff I met, they are the most important property of Pullman Wenzhou. Internet speed became worse and worse, even they gave me more band width. Still too slow. All went well during my stay. Friendly reception. Clean and tidy room. Rooms are clean and comfortable. Staff is very kind and helpful. Location is acceptable. I wish there was less noise from park located across street, but that is not issue for hotel to resolve. Hotel is a bit old it seems. Safe was not working and whilst I advised that the battery needed to be replaced it took two other people to reach to the same conclusion and fix it. In room dining experience was poor due to cold soup - which was taken off the bill after me requesting it, not offered- and there is no real airco in the room, just a fan, temperature settings not working. Getting to the gym is a bit confusing as you cannot get there through the male dressing room/swimming pool. Coffee in the lobby bar downstairs was ok, coffee in the lounge upstairs 17th floor totally unacceptable for that RMB40+ price. Issues were being addressed in a very professional way by Michelle at the front desk. Michelle, thank you! Thanks receptionist Will for his warmest support and sincere help. Rooms are nice and big. Check-in Check-out process was smooth and staff was very kind and humble. Room was very specious, cozy and comfortable. Housekeeping was excellent. I did breakfast and found very good variety even as Muslim we found good variety of food. Overall I would like to stay at Pullman again. Excellent hotel and services. Good food. Very friendly welcome and check out. Always my best choice . Good as usual. But the internet speed is bit slow even adjust the band width for me. My Italian guest also stay here and complained the wifi speed is bloody slow. The air conditioner is only fan, means the room is very warm and feel not so good even hotel prepare the electrical fan for me in the room The lounge on 17fl is really need to be improved. Please refer to Sofitel Guangzhou. It is good! The hotel is clean and the staff are very helpful. Besides the cleanness, the food on the restaurant is well done and there are a good variety. The other good thing related with the hotel is the location, it is very convenient location. 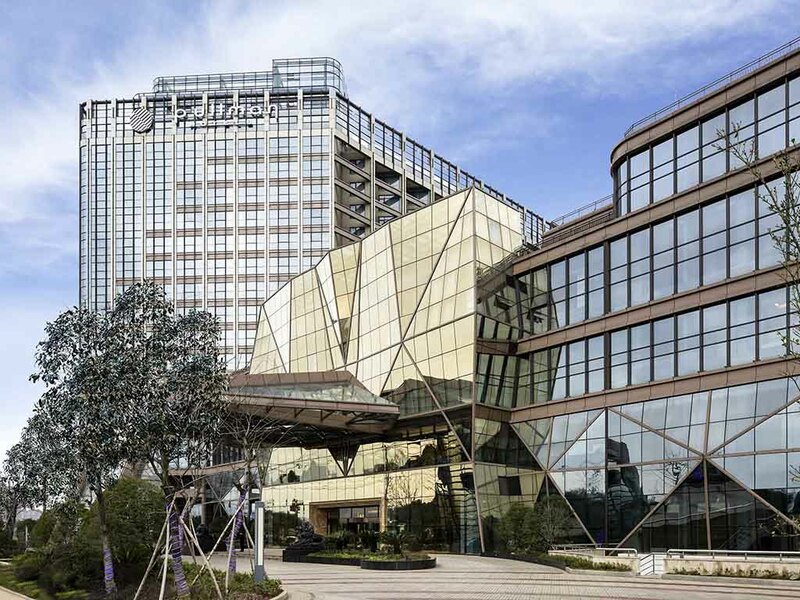 It is always a pleasure to stay at the Pullman in Wenzhou.